Manchester United have struggled badly for goals this season, but that’s changed somewhat since the emergence of young Marcus Rashford. He’s been a breath of fresh air in a stale looking United side under Louis van Gaal, but his past Wednesday night his goal helped the Red Devils into the semi-finals of the FA Cup to face Everton. It was a pretty slow start to the game, as we’ve seen so often this season from Manchester United. There were a few decent chances for both sides in the opening 45 minutes, but we looked destined to go into the break goalless. Marouane Fellaini and Jesse Lingard arguably should have scored shortly before the half time whistle, but both men spurned fantastic chances to score – albeit with the West Ham goalkeeper making two decent saves. For the umpteenth time this season we went into half time of a Man United game goalless, but thankfully the second half got a lot more exciting. Some great individual skill from Rashford saw him find a yard of space, but he was still under pressure from two West Ham defenders. He somehow squeezed a shot away though, firing into the top corner from the edge of the box. 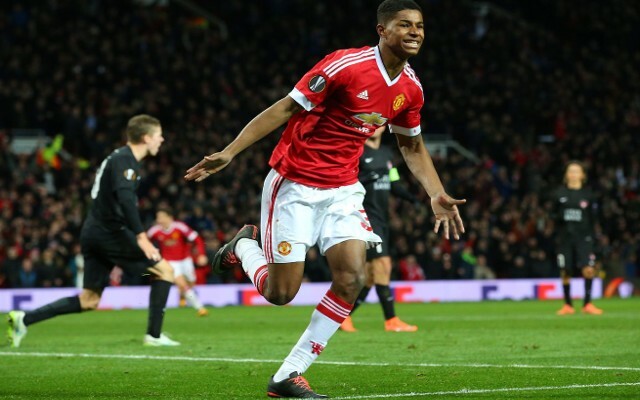 It was a phenomenal finish, and the teenager showed once again that he’s a top quality player. Man United soon made it 2-0, with Fellaini capitalising on a bit of good fortune. The Belgian was loitering in the box, when Lingard tossed a ball in there, with Anthony Martial letting a shot fly. It was blocked and fell kindly for Fellaini, who bundled it home to double his side’s lead. West Ham had barely threatened up until this point, but going two goals behind sparked them into life. They began to pile the pressure on, creating chance after chance. United eventually cracked under the pressure, with James Tomkins heading home a fantastic cross. There were a few more chances for West Ham before the end of the game; a Dimitri Payet free kick, a goal disallowed for offside, and an interesting corner routine that ended up going well wide. In the end however, it was too little too late from the Hammers, and they couldn’t come back from 2-0.